My husband and I met Adriana for the first time today. We got to know each other by blog. She came to Japan from Romania on this April 13 for sightseeing. 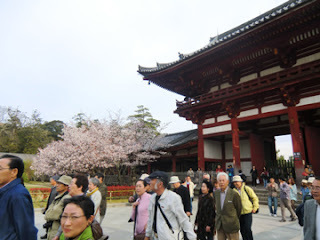 She made time in her busy schedule to visit Nara,and we stroll Nara together today. My husband and I are really happy to meet her. 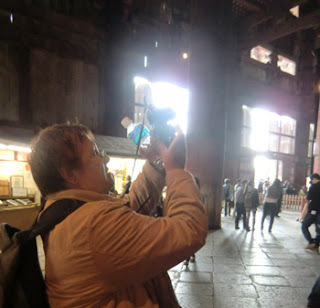 It is her first trip to Japan, she eagerly took photos at each historical places. She is really a nice person,decent,friendly,and very intelligent. 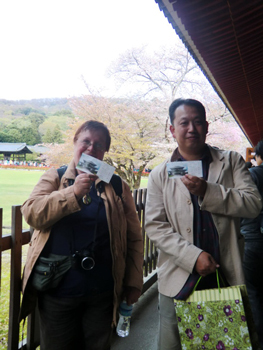 Today's biggest event is, not Toudai-ji,but finally I could meet her,from Romania! 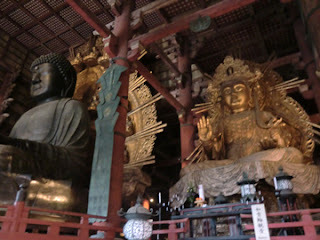 This is Toudai-ji Temple, Nara (The Hall of the Great Buddha), one of the most famous temple in Nara. This temple was built more than 1300 years ago. 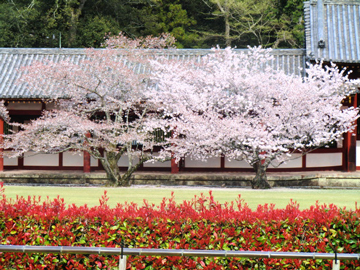 so Emperor Shoumu wished to settle down these problems,that is why he built a temple here. And this temple is said to be a forerunner of Toudai-ji Temple now. This is one of the Four Devas. 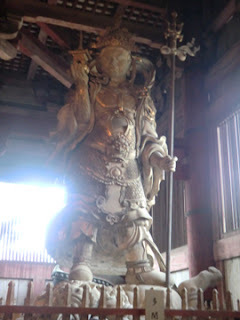 This god is closely related to Kubera(Hindu god). 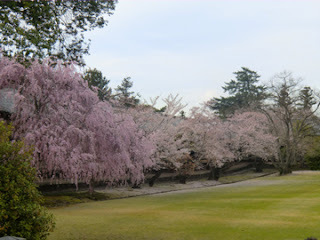 The garden is well-cared,and the cherry blossom is wonderful. The middle of April is at their best. 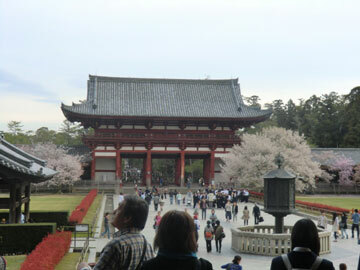 Toudai-ji temple is designated as UNESCO world heritage in 1998. This temple always fascinate many tourists in every season. Especially Toudai-ji in April is like a heaven! 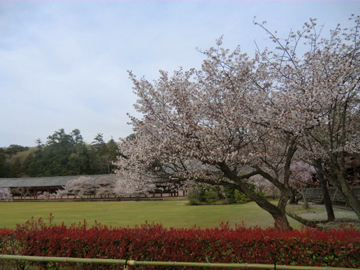 Nice memories from Todai-ji, Kumiko! I'm glad too we managed to meet at last. Indeed,nice memory,and I miss you now. I'll go to Romania someday. 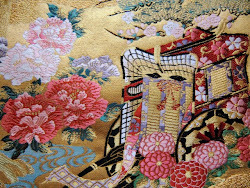 Hope you'll have a nice weekend!